Some dogs are very "painful" perceive when they are left alone. Usually, they begin a loud and piercing howl. It gives a lot of inconvenience. Especially if the dog lives in an apartment. Cuciti a dog howl, or rather, to teach her to calmly endure the absence of the owners, it is much easier when the animal is still small. It was then formed the basis of education.First, leaving is not necessary to arrange the farewell scene with the puppy. We should just quietly get dressed and go. Secondly, in any case can not go back, if the door began howling. Otherwise, the dog will understand that she can return and take it to your note. Thirdly, when you come, do not rush to greet the pet with the threshold and don't let him jump on you. You can just quietly give the puppy to smell your hand so he calmed down.If training a dog was lost, it is necessary to resort to special methods of training. They all require time and patience. Do not try to speed up the process of re-education pet. Everything should be gradual in a strict but friendly atmosphere.Leave the door and wait until the dog pauses at the howl, at least for the moment. At this point, go in and praise her, give a treat. Repeat the same thing several times. One day the problem can't be solved, so will have to repeat several days in a row to secure the result.If the method of encouragement does not work, you can try another way. For example, "the method gun". Take a spray bottle with water and leave the door. Wait until the dog pauses during a howling. At this point, go back and splash her in the face. And then go back. The effect will be unexpected and unpleasant. Repeat these steps several times. Gradually the dog will understand that howling she does just a negative result.So dog training will require a lot of patience and free time. However, if this causes difficulties, and teach your pet safely stay alone, you must, you can resort to professional assistance. 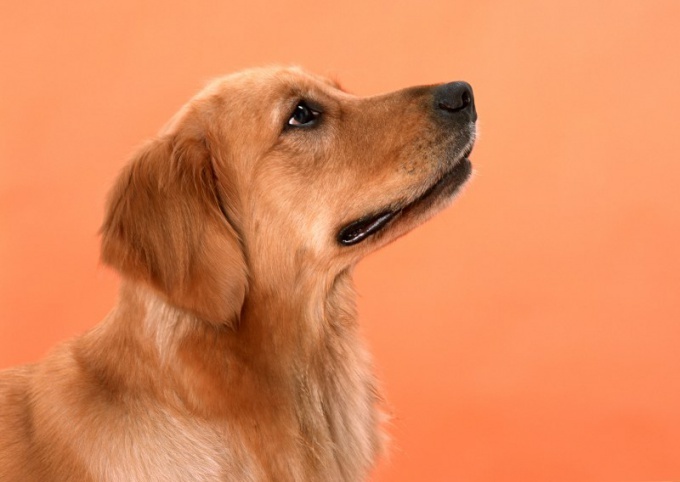 An experienced handler will prompt the right actions and help in the upbringing of the dog.